I couldn’t have survived the rocky journey I’ve been through in life without the education I received in North Korea. Attending a military boarding school as I did, we were taught discipline, which I liked – it made me strong, and in every situation I’m ready to survive. Many of the things I learned in North Korea are the sorts of things schoolchildren across the world learn. We studied Western literature, for example, reading Tolstoy and Shakespeare and, my favorite, Jane Austen’s Pride and Prejudice. We even read science fiction, and Victor Hugo – I loved Les Misérables! Geography was important too; learning about the world and where things were. I must have been taught well, I’ve found that I have a better knowledge of geography than many Americans! When I went to New York, no one knew where Equatorial Guinea is, and one person thought Spain was in South America! North Koreans students would definitely not get this wrong. 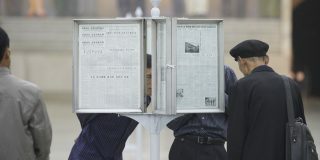 When arrived in Madrid in 1994, most people didn’t know where Korea was – North Koreans students have more general knowledge. I found the reason for this when I did a foundation course in Zaragoza, Spain. The atmosphere of class was very relaxed – students didn’t worry about if they understood the subject, or if someone didn’t understand a problem was it was ok and ignored. In Korea it wasn’t like this at all, you got to know what you’d been taught otherwise you’d be seen as the worst student in the class. Everyone was always competing to be the best. With all this pressure to be the best student in everything, of course the students have a better general knowledge. History classes we learned a general history of the world, learning how the U.S. was founded. We also learned about the two world wars – about how evil Adolf Hitler and Nazis were, and the Holocaust. Also important was learning about communism: in particular the theories of Karl Marx and Vladimir Lenin, as well as the contributions of Kim Il Sung. About the importance of collectivization, and the abolition of private property. We also learned about the stages of communism – that we were in socialism and to achieve communism would take a long time. We were, of course, taught about communism around the world. Stalin and Mao were the real heroes, but portrayed as allies of Kim Il Sung, not the reason that North Korea exists! 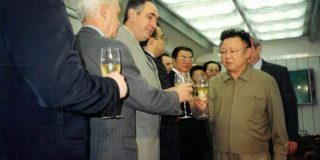 We also learned about the leader of Romania, Nicolae Ceaușescu – he and Kim Il Sung were good friends – and about Ho Chi Mihn, the leader of Vietnam. There was a lot of admiration for Ho Chi Mihn and the Vietnamese – they fought the Americans just like we did. We also learned about the Middle East, in particular Palestine and Israel, and the countries which fought British and French imperialism: Algeria, Tunisia, Egypt. At the center of everything we learned in class was the Korean War: it is the most important event and the entire reason that North and South Korea exist, as well as justifying the strict nature of life in North Korea. 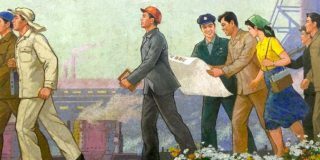 Because of the war, we are taught, the DPRK is always under threat. When I first arrived in Madrid I found out the truth about who started the Korean war. Chatting with some friends who were students, inevitably the subject of Korean politics came up. One student matter-of-factly said that the North invaded the South, and I was bemused: “What are you talking about?” I said, insisting that the South had invaded the North. He told me this was not true, taking me to a library and showing me the history books. When I found out the truth I was shocked, it was as though my whole world was crumbling around me. I couldn’t sleep, I was crying. I felt betrayed. You are also taught about the atrocities committed by the Americans during the war, with trips to gruesome museums – we are constantly being taught how evil and barbaric the Americans were. Hearing all this when you were young you really believe it too, when I first met an American in China I was terrified! I heard the same kind of demonization when I was in New York, when President Bush called North Korea evil – people asked me how I survived there and why they didn’t kill me. When I made a friend from South Korea, an American acquaintance told them to be careful because I was from the North! For me, it was sadly funny. In my head I just thought that both countries demonized each other. 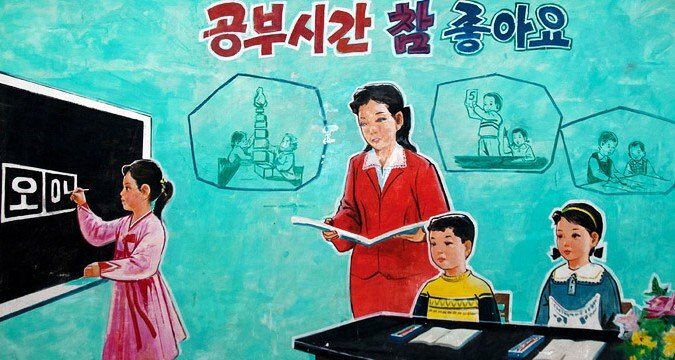 At school I had always been curious to learn more, to ask questions, but it’s very taboo in North Korea to question the teacher, and you certainly would not challenge the ideology or the history. But there seemed to be so many contradictions between what we were taught and what was true: there was supposed to be equality, but the differences between someone who was privileged, with family who worked in the party, and those were not was obvious. But I always felt anxious and nervous asking questions that were too critical, and the teachers wouldn’t go further. So why did me and the other students believe all they are taught? A lot of it is the influence of Korean culture. Korean culture is based around obeying those older than you, in a family, and what the father says it’s what’s going to happenThere’s the old confucian reverence for authority and hierarchy which still dominates all social interaction. You don’t interrupt the father figure, and your opinion is second to his. Teachers are treated with the same reverence, what they say is how it is, and if you don’t understand something you have to ask him. Questioning the teacher is completely unheard of – and if you don’t just repeat what the teacher says, you won’t get good grades and you’ll be seen as a bad student. It’s as simple as that. There’s no room for debate or questioning things – if you don’t just repeat the lessons you’ll fail. It’s a collectivist society, not individualistic, and if you’re different from the majority you’ll be treated like a stranger. 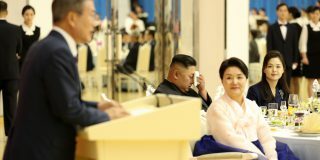 I always try to see the good things in my North Korean education – the things which made me a strong person, that I was encouraged to work hard. Again, it made me tough, disciplined like a soldier and ready for anything. But after living in USA, Spain, South Korea, China and the UK, the North Korean education system has lots to learn from others as well. 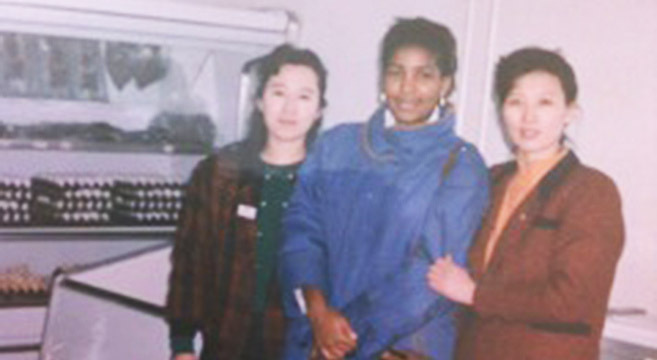 Monique was born in Equatorial Guinea and grew up in Pyongyang, North Korea. She graduated at the University of Light Industry, with a BA as a Textile Engineer. Since leaving North Korea, Macias has been working as a fashion designer in countries including Spain, South Korea, and the U.S. Macias recently wrote a book about her life in North Korea which will soon be translated in to English.